Soon I will be coming to the most anticipated part of our Scotland road trip, the Isle of Skye. But first, can we take a moment to chat about laundry? 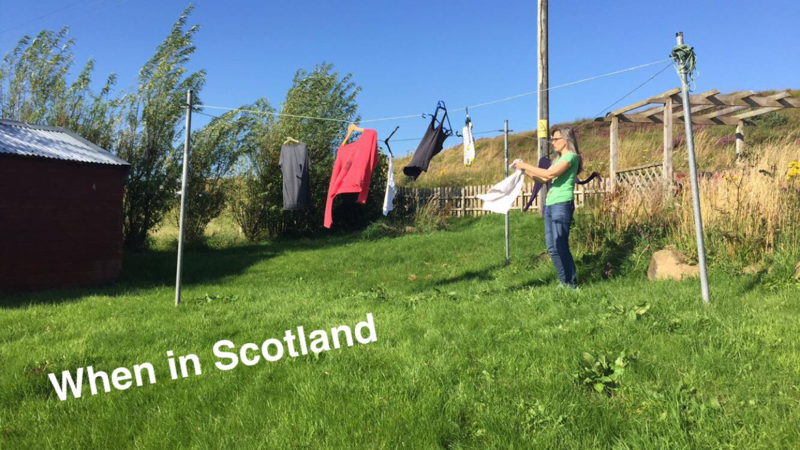 Specifically, the adventure of doing laundry in the UK? 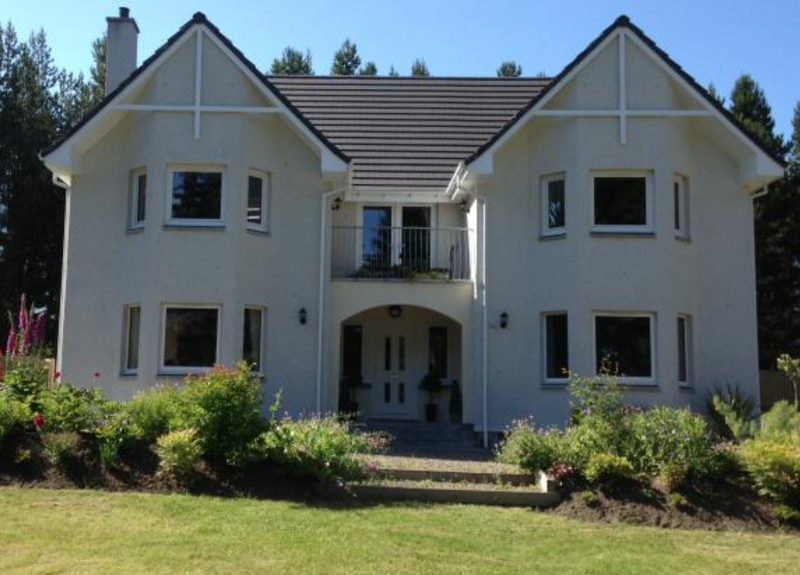 About halfway through our trip, while in Inverness and the Isle of Skye, we stayed in rental homes instead of hotels. Excellent timing for doing laundry. One would think, anyway. Our first rental home slept 12 – 14 people. From which one might easily conclude that said home would include at least one washer and dryer. Our last rental home in Orlando slept 18 and came with two, not one but TWO, super-size washers and TWO super-size dryers. But that was America. And this was Scotland. The house in Inverness did, thankfully, have a washer and dryer. We located the front loading washer straight away. (See how I got all British on you there?) Yes, we found the washer straight away. Now it was a small washer. But that’s to be expected because pretty much everything is smaller in Europe. (Except the beers. The beers are definitely bigger.) We bought a German dishwasher a few years ago and for the longest time, I called it my mini-dishwasher. But the machine washes so well and so quietly, I grew to love the tiny little thing. So I was expecting smaller, yet good quality appliances. But where the heck was the dryer? We figured they couldn’t possibly have a clothesline with the kind of rain they get. Finally, after searching for 20 minutes…maybe longer…we found the dryer, which had been right before our eyes the entire time. Why, you ask? Because the washer and dryer were actually one and the same machine. Yes. I am serious. That is actually a thing. One machine that actually washes and dries your clothes. One tiny machine for both washing and drying. And yes. Yes. YES! They could have made room for a dryer somewhere in the 3000 square feet of house. Even a stackable would do. We were so stunned you would have thought we’d just stumbled on an alien civilization. What? Why? How? Why? Trying to wrap our brains around the scientific wonder that is the washerdryer combo, Jean and I started to explore the functionality. We’d already come to accept that the machines…I mean machine….was small and that, as a result, doing laundry would require more time. And we were slowly accepting that if we wanted clean socks and underwear (which, in case you’re wondering, we did) we would need to entrust our clothes to this foreign machine of the future…or the past…maybe it was new-fangled thing that went bust. I mean, a logical person would have to assume that a machine that both washes (makes clothes wet) and dries (makes clothes unwet) will have to sacrifice the quality of at least one of those two actions. Right? OK, well whatever. We moved past that. And we started analyzing symbols and pressing buttons (come to think of it, we were kind of deciphering alien technology) and here’s the kicker guys: to wash and dry one (miniature) load of laundry would take five hours. Five hours! FIVE HOURS!!!!!! FOR ONE. TINY. LOAD. OF LAUNDRY. HOW DO THESE PEOPLE LIVE?!?!?! Do they have real washers and dryers in their own homes? If not, how often do they wash their clothes? Do they actually wash their clothes? Do they wear disposable underwear? Do they wear underwear at all? Do they wrap their kids in plastic? HOW DO THEY DO IT????!!!! OK. OK. Well I’ll tell you what we did: a grand total of two loads of laundry in that house, almost entirely consisting of socks and underwear. The best part was seeing Doug’s jeans. Maybe it was the small tub and lack of fabric softener but his jeans came out of the washerdryer wrinkled like crumpled newspaper and so stiff they practically stood up on their own. Jean and Steve opted to wait until we got to the house at the Isle of Skye. A risky choice if you ask me. Which you didn’t. But you’re going to find out anyway. Isle of Skye. Our house there was located on a hill overlooking a firth. Absolutely stunning views. Cute little home. Nice neighbors. Not our house but the view from our house. But the laundry situation? Well, the clothes line out back should have been our first clue. The second clue? Our towels…rolled up nicely and placed in our bedrooms. When I picked ours up off the bed and moved them to a dresser, I noticed they seemed a little damp. Nah, I thought. They’re probably just cold. We found the washer. And no joke guys…NO JOKE…it was smaller than the previous washer. More like a half washer really. Looking at the half washer from the front, it seemed normal enough, but look from the side and you’d see that the half washer was indeed only about 12 inches deep. I AM NOT KIDDING. HOW DO THESE PEOPLE LIVE????!!!! The dryer? Oh we found it, alright. Folded up next to the washer. A drying rack. (In the very space large enough to house an electric dryer.) Oh and there was a hanging rack above the washer. And of course the clothesline. Thaaaaaat explains the damp towels. After my shower that night, I used one of those towels, which provided enough absorbancy to dry my face and left arm. Clotheslines are nice, I guess. Charming. Economical. Effective even…in places like New England in summer or the mid-west or the desert. You know…places where the sun shows her face and the sky DOESN’T RAIN 364 DAYS OF THE YEAR!!!!! Let me ask you, are these people just so used to the rain that they’ve completely given up the fight? Just thrown in the towel? (Though not in a dryer, obviously!) Has dampness become a way of life for the Scots? Do they just think, why bother? I’m going to get wet again later anyway. 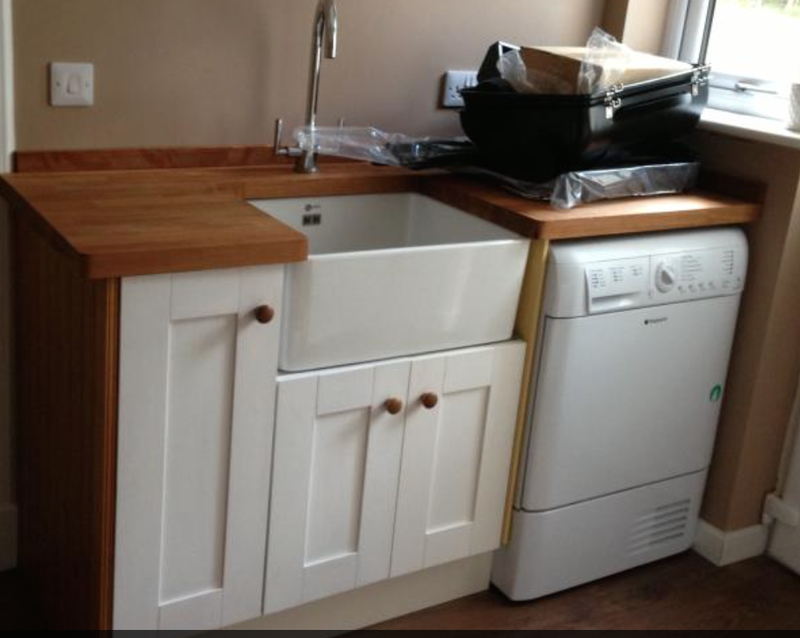 Oh, we used the teeny, weeny washer. And the drying racks. And when that didn’t work, the clothesline. Which made the whole washerdryer combo in Inverness seem like a luxury appliance. Thankfully, we had beautiful weather those two days. Even so, when we drove away toward Fort William, we did so with damp clothes in the van. Why, Scotland? WHY?! There are better ways to live!!! God bless America. Land of washers and dryers. Big ones. Fast ones. Separate ones. 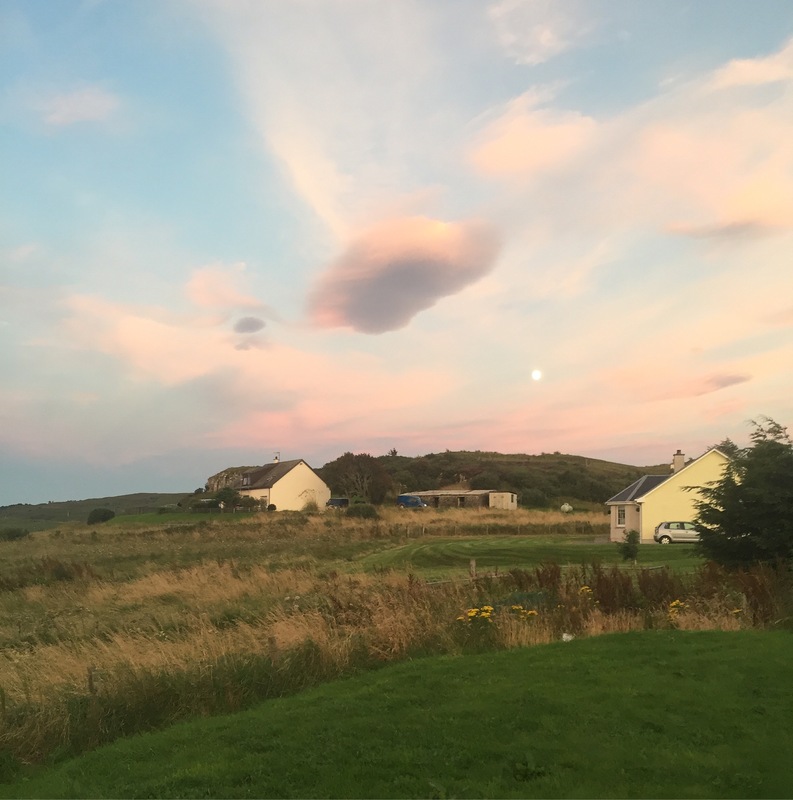 This entry was posted in Cross country, Humor, Travel and tagged Isle of Skye, laundry, Road Trip, Scotland, Travel by nicholeq. Bookmark the permalink. “Why, Scotland? WHY?! There are better ways to live!!! Oh. my. word. Why is the question????!!!! That is pure craziness and hilarious. Ahhh!!! !